In plain English, that means that as the number of containers grows then you need a tool to help launch and track them all. And because the idea of containers — and the so-called “microservices” model it enables — is to break down a complex monolithic app into much smaller and more manageable pieces, the number of containers tends to increase over time. Kubernetes has become the de facto standard tool for that job. As Kubernetes has gained momentum, it has become a platform for innovation and business ideas (as tends to happen with popular open source projects). Once you get beyond the early adopters, companies start to see opportunities to help customers who want to move to the new technology, but lack internal expertise. Companies can create commercial opportunities by hiding some of the underlying complexity associated with using a tool like this. 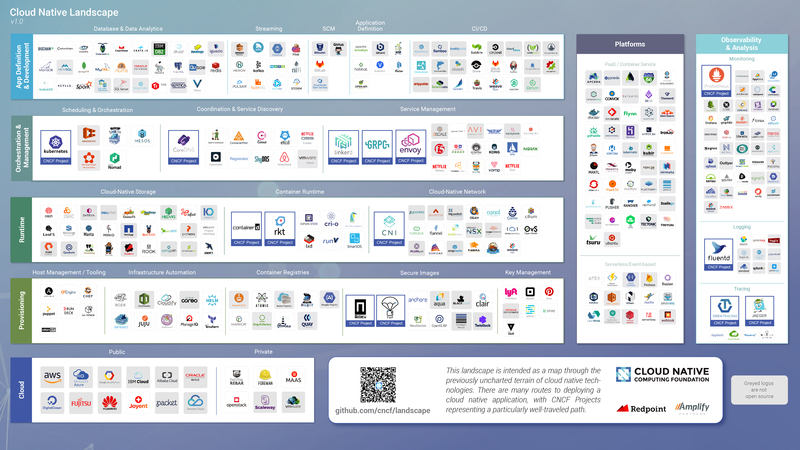 We are starting to see this in a big way with Kubernetes as companies begin to build products based on the open source that deliver a more a packaged approach that makes it easier to use and implement without having to learn all of the tool’s nuances. To give you a sense of how quickly usage had increased, 451 Research did a container survey in 2015 and found just 10 percent of respondents were using some sort of container orchestration tool, whether Kubernetes or a competitor. Just two years later in a follow-up survey, 451 found that 71% of respondents were using Kubernetes to manage their containers. Google’s Sam Ramji, who is VP of product management at Google (and was formerly CEO at Cloud Foundry Foundation), says it feels like an overnight sensation, but like many things it was a long time in the making. The direct antecedent of Kubernetes is a Google project called Borg. Ramji points out that Google was running containers in production for a decade before the company released Kubernetes as an open source project in 2014. “There was almost a decade of container management at scale in Google. It wasn’t an experiment. It was code that ran the Google business at scale on Borg. Kubernetes is built from scratch based on those lessons,” Ramji said. One of the big drivers behind using Kubernetes and cloud native tools in general is that companies are increasingly operating in a hybrid world where some of their resources are in the cloud and some on-prem in a data center. Tools like Kubernetes provide a framework for managing applications wherever they happen to live in a consistent way. That consistency is one big reason for its popularity. If IT was forced to manage applications in two different places using two different tools (or sets of tools), it would (and does) create a confusing mess that makes it difficult to understand just what resources they are using and where the data is living at any particular moment. One reason the Cloud Native Computing Foundation is called that (instead of the Kubernetes foundation), is that Google and other governing members recognize that Kubernetes is only part of the cloud native story. It may be a big part, but they want to encourage a much richer system of tools. By naming it more broadly, they are encouraging the open source community to build tools to expand the ability to manage infrastructure in a cloud native fashion.